Provide comfort for the family of David King with a meaningful gesture of sympathy. David Eugene King Sr., son of Lloyd and Martha was born on March 11, 1954 in Boston departed this life on March 31, 2019. He received his education in the Boston public schools. Graduating from English High School in 1972. David started working at age 15 and held many different jobs until he had a stroke in November 2018. He worked various jobs as a teenager. When he graduated high school, he worked at Logan Airport. From there he went to work for the MBTA and also had an ice cream truck in the summer for about 4 years. He worked as a construction worker until he got injured on the job. David’s last job was one he seemed to enjoy the most. He was a Theatrical Stagehand in the I.A.T.S.E. Local # 11. In David’s late teens and early twenties, he was a big brother to the neighborhood. He coached a summer basketball team for Boston Neighborhood Basketball League (BNBL). He also, hosted block parties in the schoolyard. His hobbies were watching basketball and football. He also, liked hosting summer cook-outs, baking cookies and brownies. David’s children were the joy of his life. He was a devoted father. He championed his children. David worked hard because he wanted the best for his children. Education was very important to him and his children knew that. His daughter says he was a great father, great provider and her best friend. His son says he was superman, someone to look up to, smart, strong, funny and very brave. He was a member of Morgan Memorial Church of all Nations. As an adult he did not go to church often, but he knew God. The life and memory of David shall long be remembered by his children Danielle and David Jr., his mother Martha, his father Lloyd, his brother Derrek Sr., and his sister Donna, along with a host of Uncles, Aunts, Cousins, Nephews, a Niece and devoted friends. David has left us to join his brothers Douglass and Darryl Sr. They are now watching March Madness together and arguing over plays. 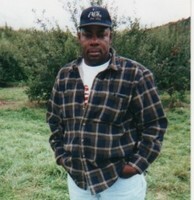 To send flowers in memory of David Eugene King Sr., please visit our Heartfelt Sympathies Store. Provide comfort for the family of David Eugene King Sr. by sending flowers. To the family and friends of David King Sr., I am very sorry for your loss. May you find comfort in the Bible’s hope that one day we will see our lost loved ones again. Jesus showed how this promise is sure when he resurrected Lazarus. John 11:1-44. Such bible truths provide us with hope and comfort as we look forward to the day when death will no longer be and those who have already succumbed to this enemy will be awakened to a life free of pain, sorrow and the worries of ever dying again. Even though this wonderful Promise from the One who can and will fulfill it doesn’t take away our pain and grief, my wish is that this wonderful hope will bring you all a measure of comfort. Revelation 21:3, 4; Isaiah 55:10, 11; Isaiah 25:8; John 6:40 and 1Corinthians 15:25, 26 🙏🏿 Like me you can learn more about these wonderful bible promises at jw.org. To The King Family, Our heart felt condolence. Our family will not be the same without David. I hope we all can find comfort together during this difficult time, no words will ever do justice to the impact David has left on all who knew him, From The Green family; Gousby; Lias; Williams; Wilson; Stephen; and the Community where he lived, we all love ya and share in your pain. David will be forever missed.